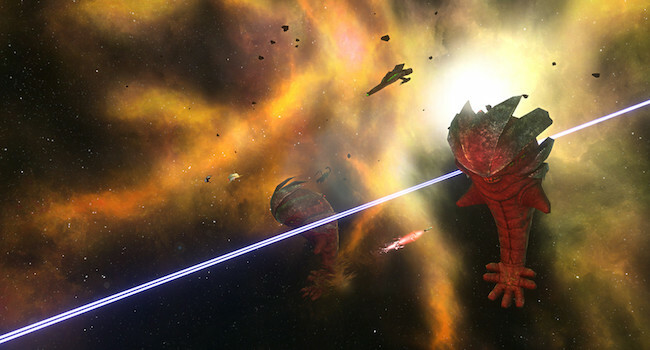 When I first booted up the Infinium Strike demo from Codex Worlds, I expected some sort of Sci-Fi RTS. 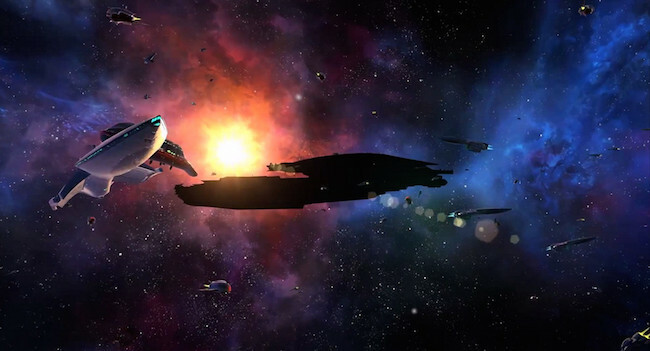 I'm very familiar with games such as Sins of the Solar Empire, and by all the trailers I watched it seemed as if Infinium Strike played similarly. Imagine my surprise when I started through the tutorials and found that Infinium Strike wasn't an RTS, but a tower defense. One could say we have been lacking high quality tower defense games, so this was a point in its favor. 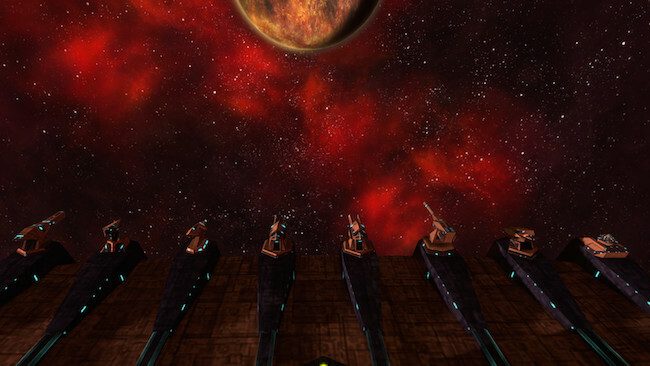 Infinium Strike's main gimmick is that it's a tower defense in multiple dimensions. You take control of a massive spaceship and it's your job to build turrets on all four sides in order to handle wave after wave of attackers. Unlike most other tower defenses, your attackers don't progressively get near you. Instead they just hang out and start pelting your ship with lasers. If they manage to eat through your ship's shields and armor, you lose. If you manage to kill every enemy that comes your way, you win. The trick here is that you can't see every part of the battle at once. You can zoom out, which gives you a good look at all your turrets, but doesn't show the enemies well. You can also go into a turret view, which shows you all the enemies and turrets on one side of your ship but obfuscates the other 3/4ths of the battle. This is actually the main gameplay hook of Infinium Strike. You can only focus on a certain amount of the battle at once. 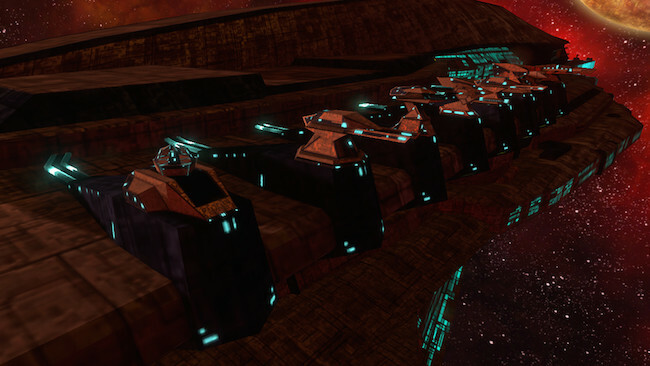 Enemy ships come in multiple sizes and strengths and warp in at multiple distances (called quadrants) from your ship. Your goal is to build the right turret to handle the right kind of ship. 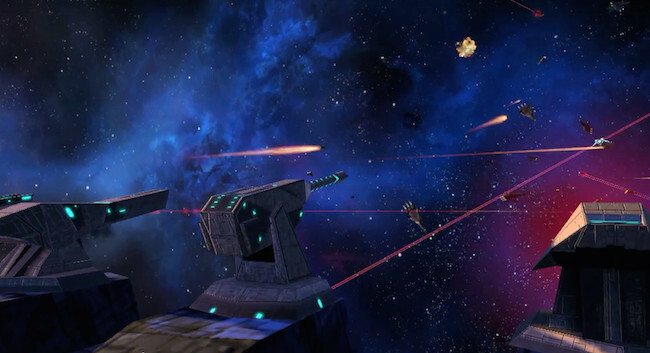 Small fighters are ripped to shreds by rapid fire turrets, but these turrets don't have the range to hit outer quadrants and they don't do much against heavily armored destroyers. Long range railguns can easily take down the biggest ships in any quadrant, but their low rate of fire makes it easy for you to get swarmed. It's an intricate guessing game that effectively engages me enough to ignore the fact that there are only three "quadrants" in each sector when the word quadrant means "four." Just a pet peeve. In addition to juggling enemy ship's defense, speed, and distance from your own ship, you also have to combat their movement patterns and type of attack. 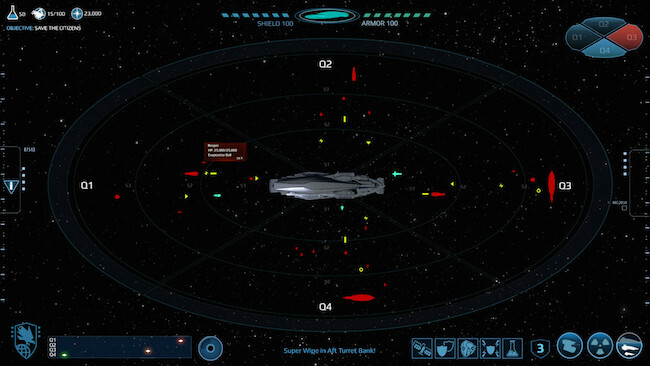 Some enemy ships will orbit your ship, effectively putting them out of range of one turret bay and in range of another. 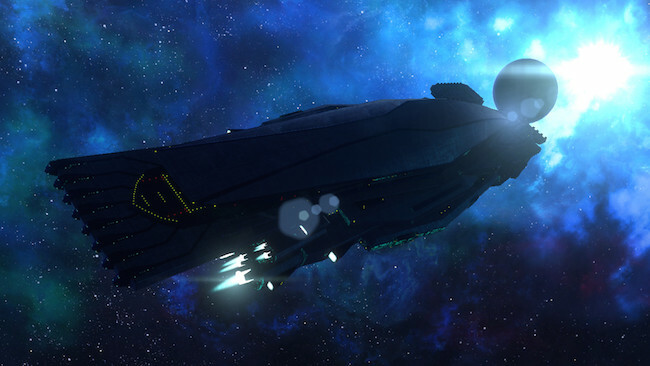 In addition, certain ships can fire weapons that do things like damage over time, destroy one of your turrets, disable a turret for a while, and other such status effects. It's a good idea to focus on these ships first in any battle. In addition to placing turrets, you also have special abilities that work on a cooldown timeline. These allow you to earn more resources for destroying ships, recharge your shields, use your shields as an attack and more. 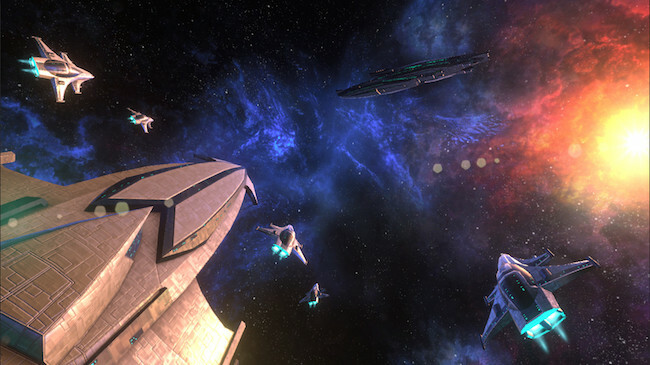 You can launch fighter ships to support you if you suddenly find yourself without the turret you need, and even upgrade these ships in order to make them a more potent part of your arsenal. With so many options in battle, you'd think that Infinium Strike would provide a very deep gameplay experience, and it does, for a while. But as the game moves on you begin to see a couple holes in the formula. It's very hard to tell what quadrant enemy ships are in, or what type of enemy ship is attacking you. It's also difficult to tell how much HP an enemy ship has or what turret you should build to combat them. Pressing the space button puts you into a temporary scan mode which highlights all enemy ships and show you exactly what quadrant they are in, which is useful but I honestly don't know why this isn't always active. The act of purposefully hiding this info from the player seems like a cheap way to make the game harder. Similarly there is the ability to pull the camera all the way back and see the battle from four sides but you can't place turrets in this view, which once again seems like an artificial way to increase difficulty. You are told when a turret of yours is destroyed but you aren't told what turret or where. You also aren't clearly told what sector most of your damage is coming in from. This creates the unfortunate effect of fighting a battle on all fronts and feeling like you've won, only to switch to another sector that has no turrets and tons of enemies whittling away your armor. Since you can become so focused on handling other battles in other sectors, you usually encounter this situation with few resources left. So you build a tiny turret in the hopes to hold off the enemy and watch it immediately get destroyed. This continues in a vicious cycle until your lose. Not fun. The last problem the game suffers from is a lack of variety in turrets. As you upgrade your ship, more turrets become available. But they are all still basic variations on the weak, but fast turret, the medium turret, and the heavy, but slow turret. Personally I'd like to see turrets that do weird things, like warp the opponent to other sectors, move the opponent to other quadrants, do huge AOE damage, and so on. Of course, this is just a demo and further changes may come to the finished product. What's so inspiring about Infinium Strike is that there still is time to make changes. The core concept of the game is really fun. It's a very frantic very active tower defense that feels wholly unlike games where you sit in your chair and simply watch the enemy die to your unbeatable turrets (Plants VS. Zombies, I'm looking at you). If it improved the U.I. a bit, added a few more camera angles, and diversified the available turrets a bit, this could be the next big tower defense craze. 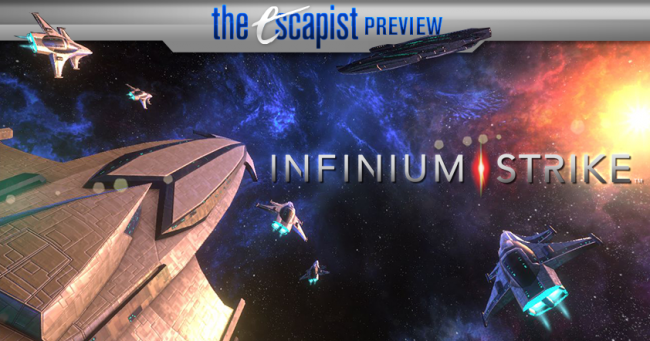 I'm eagerly looking forward to the updates that will be made to Infinium Strike when it releases in 2016.